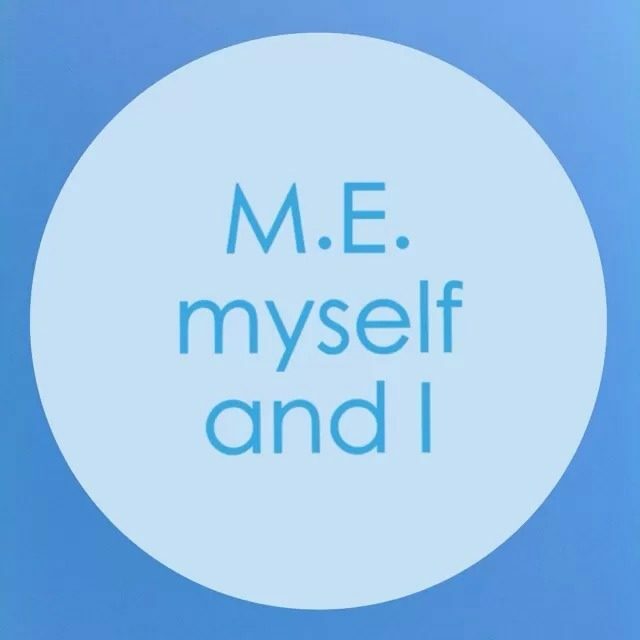 M.E. Awareness week has been and gone and so too has my own annual fundraising and awareness-raising effort. My ‘Blue Sunday’ tea party was a success once again and each year I have to pinch myself that it is so well supported and so much money is raised. The car park was so full this year that people actually struggled to find a space! It is quite a lot to take in for me; that so many people turn up each year in support of me and my family. Mr Tree Surgeon and my wonderful parents. There would be no Blue Sunday without all of the work that they put into it and without all of the help they give me. This year’s tea party happened to fall on what would have been Merryn Croft’s 22nd birthday. With permission from her family, Blue Sunday was dedicated to her. You may have seen Merryn’s story in the media. Her family continue to work to raise awareness of the illness that caused her death in 2017. I may well find a willing volunteer to take over the online and virtual side of things next year. Despite checking beforehand, my mobile phone reception was just too dreadful to keep up with things online. For someone whose energy supply is so limited, it’s not the easiest juggling act to be there on the day and also present online. My days of multitasking are behind me it seems. This year I was able to bake far more than I ever have. It was an absolutely incredible feeling to be able to properly contribute and participate in the tea party myself. I have always delegated a lot of the hard work out, and Wonder Mum takes on the vast majority of the workload. But this year I baked FIVE bakes! Admittedly the payback from the event was worse this year. Perhaps/Probably because I had done that much more in the lead up to it. But I also wasn’t doing so well health-wise anyway. A combination of factors perhaps. This year’s tea party was incredibly special because I got to meet/see some of my online M.E. friends and blog readers. Lucy, Katie, Vikki and Katie travelled from their homes in Barnsley, North Lincolnshire and Cambridgeshire to join me for the afternoon. Katie has hosted her own Blue Sunday tea parties over the years but this year she came to mine bringing with her an incredible ‘Blue Sunday’ free from cake. ‘Katie from North Lincs’ brought her homemade Scottish tablet and chocolate fudge with her and it was amazing! I’m still not quite back to my ‘best’ almost a month on but as always it was all absolutely worth it. It’s my one big event of the year. And I absolutely loved it. We have raised £1360, yet again breaking the £1000 mark. It means that we have made, on average, £1000 a year over the 6 years we’ve been doing the tea party. I am lost for words at how wonderful that is. For the first time, I have not been able to send thank you cards out to those who donated and joined us on the day. I hope, though, that everyone knows how much their kindness and support mean to me and my family. In fact words will never be able to express how vital that support is; how it is the difference between losing all hope and not. My JustGiving page is still live if you’d like to read my Blue Sunday story or make a donation. So, same time next year?